Emo is often the Cheapest Oil - but not always!
. . . look for the most affordable oil with a quality assurance you can rely on. Emo Oil strives to be among the lowest cost home heating oil suppliers. But the price of oil is variable and as a result, there are changes in which supplier may appear to have the cheapest oil between one day and the next. So at Emo, we’ve come up with some solutions which will give you consistent peace of mind that you will always get the best value from Emo, whatever daily oil price fluctuations may bring. We use calibrated meters when delivering your heating oil. This means that you can be sure that the volume of oil that you have paid for is exactly what you get. Not every oil company uses these meters as they do not have the quality assurance processes to complete with those at Emo. 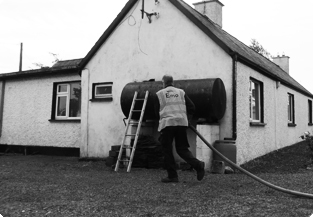 As the largest energy company in the UK and Ireland, DCC insists on the highest standards to ensure they very highest service quality to our customers. 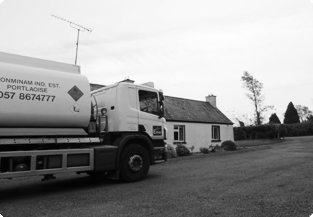 By going on direct debit, you can manage your heating oil payments over an entire year instead of being hit hard every winter. This make your heating oil significantly more affordable and with our planned delivery solution, we make sure you don’t run out!